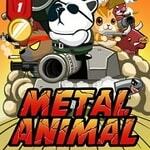 Battle to a large quantity of the armed opponents and bosses in game Metal Animals. Type the command which each member will carry out the function. Buy new tanks to become even stronger!